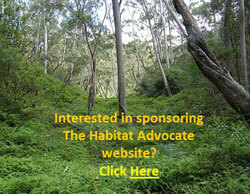 The Habitat Advocate » Blog Archive » Victorian Bushfires, the opportunity costs? Victorian Bushfires, the opportunity costs? “After Black Saturday there was a predictable chorus calling for a greatly expanded fuel reduction program in Victoria. They got it as sound scientific expertise and advice went AWOL in Royal Commission into the fires. By covering their own butts from uninformed public hysteria, the expert panel have opened a Pandora’s Box. Now we can look forward to large scale indiscriminate burns as DSE struggles to meet ridiculous area based targets that will only accelerate the degradation of fire resistant ecosystems that provide natural barriers to fire. Fire prone forests will expand under this misguided approach and guarantee future mega fires. After the Commission’s Final Report – silence? This emergency management inept cycle of Unprepareness>Disaster>Enquiry>Report>Distraction>Amnesia>Unpreparedness…just keeps repeating itself. Recall the Great Divides Fire of 2006-07, the Grampians bushfire of 2006, the Eastern Alpine bushfires of 2003, Ash Wednesday of 1983, etc, etc. (A list is available at http://en.wikipedia.org/wiki/Bushfires_in_Australia). Each was followed by an enquiry and a report. Each report has gathered dust and there is little evidence of lessons being learned by the authorities after each event. The cause of the multiple bushfires were many, but directly due either to fallen or clashing power lines or else deliberately lit. The fire risk conditions were the worst in decades. But just like after the firestorm, when the bush went into an eerie silence; after the Commission’s report, the government has been strangely silent. One sign of life has come from Karen Kissane’s article in The Age, 1st August 2010, ‘Electricity grid needs upgrade to protect life‘, who has picked up on one finding of the Bushfires Royal Commission that governments and residents were too complacent about the dangers posed by fire. “Electricity failures sparked five of the Black Saturday fires, including the Kilmore blaze that killed 119 people, and the system needed urgent upgrading, the report said. Power companies have previously said that this could cost billions of dollars. “The commission also slammed Energy Safe Victoria (ESV), the statutory body charged with overseeing safety in the electrical system, as a weak regulator that lacked influence over power companies. One sensible solution is for state and federal governments to legislate a programme of relocating all power through or near areas rated as ‘high bushfire prone‘ to be installed underground – new transmission lines and retrofitting old overhead wiring. Governments need to accept the cost of this as part of its culpability in allowing successive bushfires getting out of control. 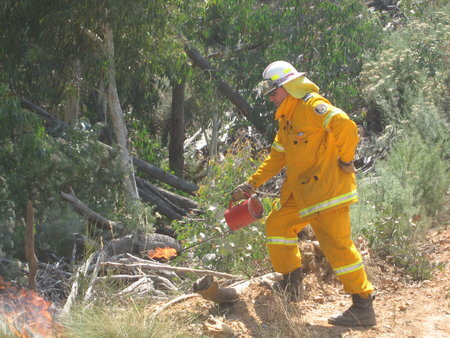 It can’t blame the volunteers or residents or bushfires being an ‘Act of God’. The fires bushfires killed 173 people, injured 414 more, destroyed over 2,030 houses, 3,500+ structures, affected 78 individual townships in total and displaced an estimated 7,562 people, plus thousands of livestock and thousands of hectares of pasture, crop and timber plantations. But right down the bottom of the list is estimated that millions of native animals have perished. Quite likely these fires have caused local extinctions which was conveniently outside the terms of reference for the Royal Commission. Does the Victorian Government care to measure these costs and invest to properly protect and defend Victorian lives, property and wildlife? It’s all a question of political will. What will Brumby’s unnecessary desalination plant at Wonthaggi end up costing Victorians anyway (as well as buggering Wonthaggi)? $24 Billion? This is the figure currently being bandied around. [Read More: ‘Desal plant cost could hit $24bn‘, by Royce Millar and Ben Schneiders in The Age, 8th October 2010]. The opportunity cost of state and federal governments failing to invest in measures to mitigate bushfire risk, will only cost more when the bushfires happen again. It is publicly negligent for both governments to ignore the recommendations of the 2009 Victorian Royal Commission and all those bushfire commissions and enquiries that have gone before it, and to do nothing. Above ground electical wiring in high bushfire areas is publicly negligent. Bushfire Emergency Management centred around volunteers in fire trucks is a recipe for disaster. Meanwhile another bushfire season approaches and all the bushfire authorities can advise the public is that they want to set fire to more bushland and CFA new chief officer Euan Ferguson confirms the ‘stay or go’ policy remains a big challenge. Equipment be changed to reduce the risk of lines breaking and sparking. Jonathan Beach, QC, for power company SP AusNet, had earlier told the inquiry such proposals would cost up to $7.5 billion in its distribution area alone and could force power bills up 20 per cent every year for 20 years. The Horsham fire, where a conductor fell because of a failed pole cap. Other kinds of electrical failures sparked the fires at Beechworth and Pomborneit-Weerite, the commission found. It said that ”over the years, distribution networks have been a notorious cause of bushfires in rural areas”, with nine of 16 major fires in 1977 caused by electrical assets. The inquiry also said that power companies should be made to remove hazardous trees that might be outside their clearance zone ”but that could come into contact with an electric power line having regard to foreseeable local conditions”. Power company SP Ausnet, part of the Singapore Power Group, yesterday said it was ready to implement any safety recommendations but ”until the full extent and nature of the implementation of any recommendations are worked through it is impossible to estimate any realistic costs”. The state’s other distributor, Powercor, also said it could not yet cost the proposals. A spokesman for Energy Safe Victoria said it was inappropriate to comment at this stage. Earlier this year, the government announced it would increase ESV’s funding and introduce penalties for power companies failing to submit bushfire mitigation plans. It also planned to clarify ESV’s powers. The commission’s findings appear to boost Victoria’s biggest class action, on behalf of nearly 600 fire victims, which alleges Singapore Power failed to monitor and maintain the power line that caused the East Kilmore blaze. Provide feedback to the multimedia producers. Your feedback was successfully sent. The Bushfires Royal Commission report says governments and residents were too complacent about the dangers posed by fire. Video will begin in 1 seconds. ELECTRICITY failures sparked five of the Black Saturday fires, including the Kilmore blaze that killed 119 people, and the system needed urgent upgrading, the report said. Power companies have previously said that this could cost billions of dollars. The commission also slammed Energy Safe Victoria, the statutory body charged with overseeing safety in the electrical system, as a weak regulator that lacked influence over power companies. It said co-regulation by ESV ”appears to be nothing more than ‘compliance ritualism”. The focus is on ticking boxes rather than substantive matters”, the commission found. It said ESV did not assess how suppliers could achieve the best safety. ■ Equipment be changed to reduce the risk of lines breaking and sparking. The commission found that as the distribution network ages and components come to the end of their engineering life, ”there will probably be an increase in the number of fires resulting from asset failures unless the state government and the distribution businesses take urgent preventive steps. This poses an unacceptable risk to the state’s residents. ■ The Horsham fire, where a conductor fell because of a failed pole cap. The suit claims an ageing 1.1-kilometre line failed because the power company failed to fit a $10 plastic anti-vibration protector to guard against metal fatigue. The action is believed to expose a potential liability of hundreds of millions of dollars. This entry was posted on Thursday, December 9th, 2010	and is filed under Threats from Bushfire.